^ Leuzzi, Jennifer. A Top Chef Arrives in New York (Finally). The New York Sun. 9 August 2006 [25 November 2007]. ^ Chefs Around the World (PDF). Travel International. Spring 2005: 28. （原始内容 (PDF)存档于28 November 2007）. 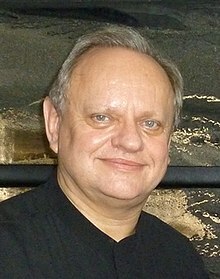 ^ L'Atelier of Joel Robuchon: The Artistry of a Master Chef and His Proteges. Wiley & Sons. [25 November 2007]. （原始内容存档于14 December 2007）. ^ Ng Kai Ling. Local flavour, world-class food. The Straits Times. 20 October 2010 [2 November 2010]. （原始内容存档于8 November 2010）. ^ 中央通訊社. 侯布雄73歲病逝 擁有最多米其林星星的世紀名廚. 中央通訊社. ^ L'Atelier de Joël Robuchon - London : a Michelin Guide restaurant. www.viamichelin.co.uk. [6 August 2018].